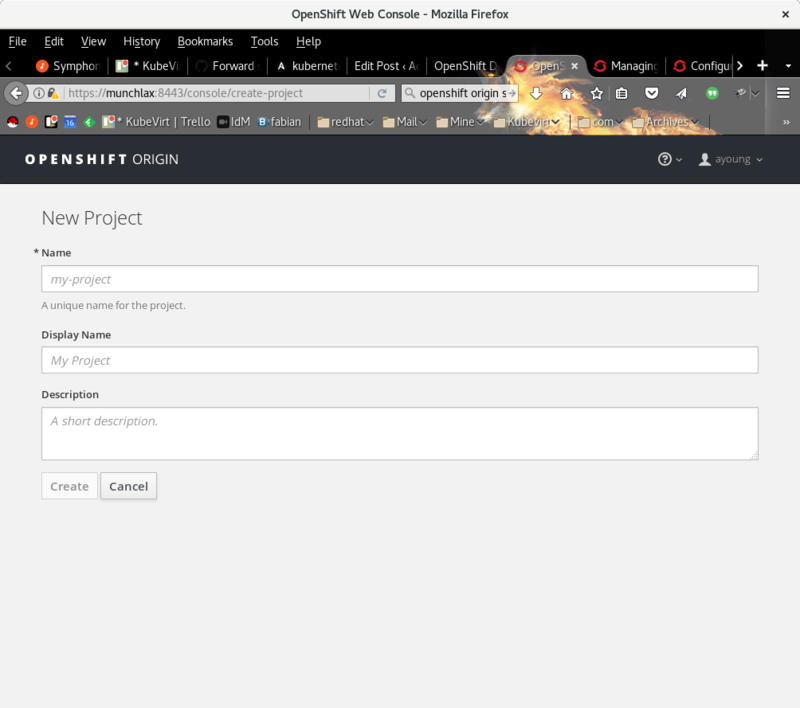 Once I got the Ansible playbook to run, I was able to poke at the openshift setup. The install creates a default configuration in the Ansible users home directory on the master node. ansible_user on the first master should have admin’s kubeconfig in ~/.kube/config The intention is that you use that to provision additional admins/users and grant them required permissions. Then they can use `oc` or the web console using whatever credentials you’ve created for them. I can use the WebUI by requesting the following URL from the Browser. Hmmm, no Identity providers seem to be configured. I see I can override this via the Ansible inventory file if I rerun. perhaps my new user will work? From the login screen. Using a password of ‘test’ which I have not set anywhere. I get logged in and see the “new project” screen. This works for development, but I need something more serious for a live deployment in the future. 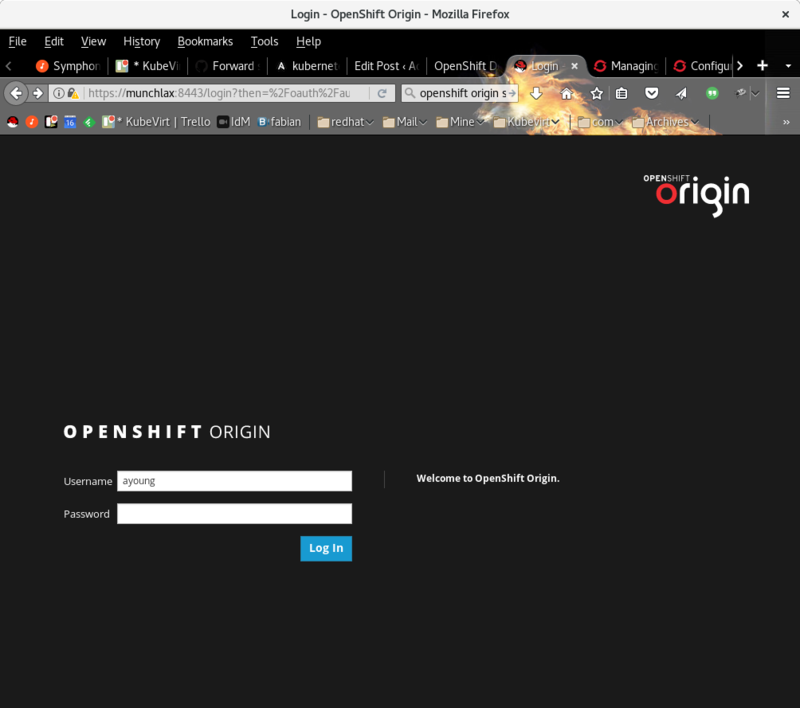 This entry was posted in Ansible, Kubernetes by Adam Young. Bookmark the permalink. Awesome! LDAP really should be done via Federation support, and multi LDAP would fit in there. I wish we had done that in Keystone.